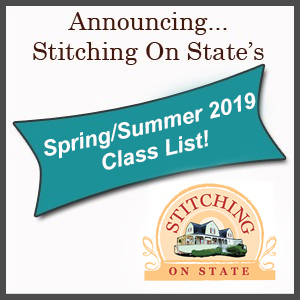 Stitching On State, formerly Judy’s Quilt N Sew, is located in a beautiful, historic home in Hampshire, Illinois. We offer high quality quilting fabric, new and pre-owned sewing machines, quilting and embroidery supplies and classes, and much more. Stitching On State is an authorized Bernina & Pfaff sewing machine sales and service shop serving quilters and sewing customers in McHenry county, Kane county, Cook county, and much of northwestern Illinois.